If you still haven't seen Universal's box office hit Split in theaters yet, there will be plenty of SPOILERS below, so read on at your own risk. Most fans weren't surprised to learn that Split was set and shot in director M. Night Shyamalan's hometown of Philadelphia, Pennsylvania, but there is one shocking surprise that was revealed during a scene at the very end of the film. This is your last chance to avoid any Split spoilers, so stop reading now if you haven't seen this thriller quite yet. The final moments of Split revealed Bruce Willis reprising his role as David Dunn from Unbreakable in a diner scene where patrons are discussing a news report about James McAvoy's character Kevin Wendell Crumb, who the press have nicknamed "The Horde." When one woman mentions that The Horde reminds her of another unique criminal, David Dunn says she's thinking of Mr. Glass from Unbreakable, a.k.a. Elijah Price (Samuel L. Jackson). During an appearance on the Happy Sad Confused podcast, M. Night Shyamalan reveals he had a much different sequence in mind for the end of Split, but it just didn't work. "There was another version of the credit sequence which was a comic book, which was graphic images of The Beast and then David Dunn and then Elijah and then them all mixing together. When I saw it done I was like, 'This is a f---ing home run,' and then when I put it on the movie it didn't work. It's one thing to say, 'You saw an origin story,' but to go into other characters... David Dunn is reacting to the news of The Horde. End of story. If you keep going it starts to undermine the movie you just saw." Last week, the filmmaker confirmed on social media that he has an 11-page Unbreakable 2 outline completed, while stating that he almost had several other Unbreakable Easter Eggs in Split, but he took them out because they began to "take over" the movie. James McAvoy has also teased in interviews that he will be back as Kevin Wendell Crumb, with M. Night Shyamalan confirming on this podcast that Samuel L. Jackson will be back as Mr. Glass. Here's what the director had to say about Samuel L. Jackson's reaction to the news. "I said, 'You know I might be doing this movie and I might combine these two movies, I don't know if you're interested in playing Mr. Glass [again],' he's like 'I'm dying to play Mr. Glass! I keep telling you every time I see you!'" Samuel L. Jackson isn't the only one who has been clamoring for an Unbreakable sequel. Back in 2015, actor Patton Oswalt even reaching out to M. Night Shyamalan on Twitter in 2015, with his pitch for an Unbreakable sequel, with the filmmaker even responding to his pitch on social media shortly thereafter. The filmmaker still wouldn't offer specifics about what Unbreakable 2 might entail, but he did talk about one story possibility, that may or may not make it into the script. "My thought bubble would be, again don't hold me to this, but Elijah never got out of the institution. He was just a guy who believed this, but David doesn't quite 100% believe it that way, he just thinks that he is particularly meant to do this and is kind of faded a little bit. Like this idea of comic books that Elijah was saying the comic book world is based on reality, that it's real, there's no other evidence for this. It's this crazy guy who has this bone disorder who's in an insane asylum. But then this comes up and he's like, 'Oh my God, he's right.'" Unbreakable hit theaters in 2000, just a year after M. Night Shyamalan's breakout hit The Sixth Sense, earning a solid $95 million domestically and $248.1 million worldwide, from a $75 million budget. 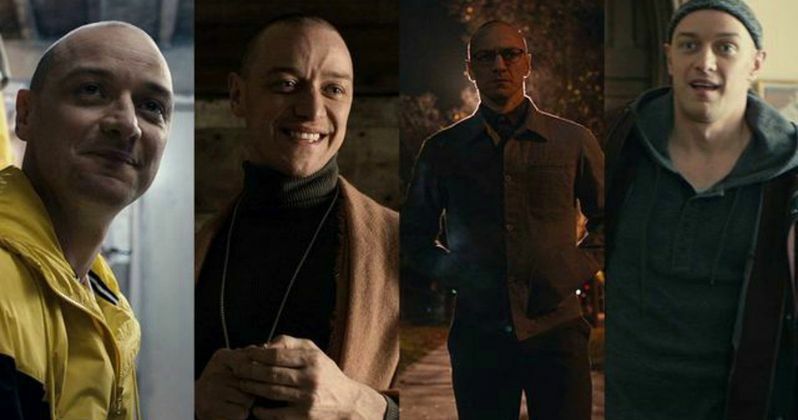 Split has certainly helped M. Night Shyamalan revive his career, which wasn't in the greatest place just a few years ago, after a number of high-profile flops like After Earth and The Last Airbender. After just three weeks in theaters, Split has earned $98.5 million domestically and $141.9 million worldwide from just a $9 million budget. Hopefully we'll find out more about Unbreakable 2 in the near future.